SQL Server Expressers out there, we got you! One of the most powerful features SQL Server has, is it's ability to monitor just about every aspect of it's operation with mechanisms such as SQL traces. A SQL Trace is an internal SQL Server mechanism for capturing events which are raised basically every time something "happens" on SQL Server. All versions of SQL Server support traces which can be created using a set of system stored procedures designed specifically for this task. However, anyone that has worked with these stored procedures before can tell you that they are pretty confusing because you have to specify every low level detail. For example, to start a trace, you have to specify the events it will trace, and for every event the properties or columns for which the trace will register data. These data will be saved in a trace file which, again needs to be specified as a parameter to the stored procedure, and then you use another stored procedure to read the data from the file. To make things even more complicated, the different events and event columns are not specified by their name (even though it is unique), but by their IDs. Taking into consideration the fact that there are hundreds of different events with tens of columns each, you can easily see how using T-SQL code to manipulate traces can be very difficult and time consuming. 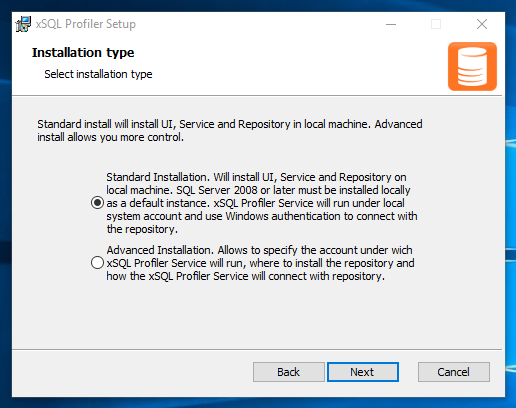 Well, Microsoft has seen this as well and constructed SQL Server Profiler which provides a UI that makes managing traces quite easy. Unfortunately, this is not available on Express versions of SQL Server. These versions do support traces, however, you have to do everything by hand. 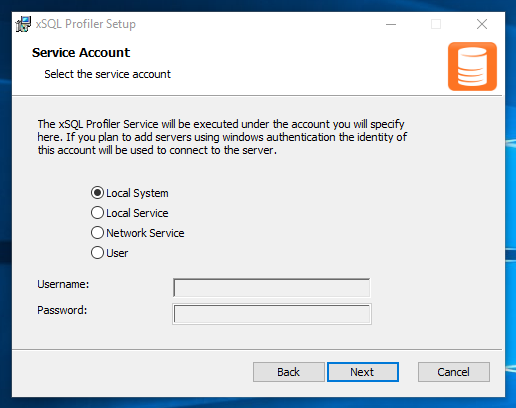 xSQL Profiler automatically saves all trace data in a structured format in the database that's created during the installation process. 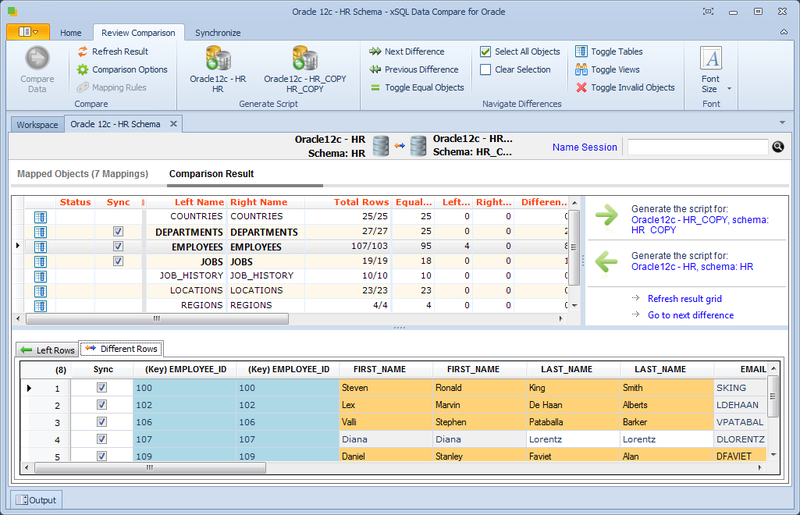 This means that the DBA can view the trace information at any time through xSQL Profiler's UI. Also, because this data is persisted on a SQL Server database, you can always easily extend xSQL Profiler's monitoring capabilities. 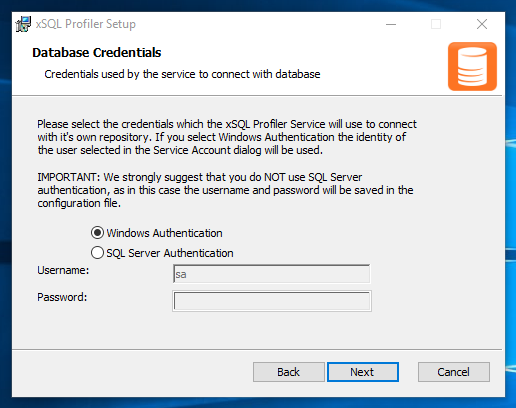 For example, you can place xSQL Profiler's database on a web server and build a web application on top of that database that allows users that may not have access to the machine where xSQL Profiler is installed to still be able to access and analyse real time trace data from the monitored servers. 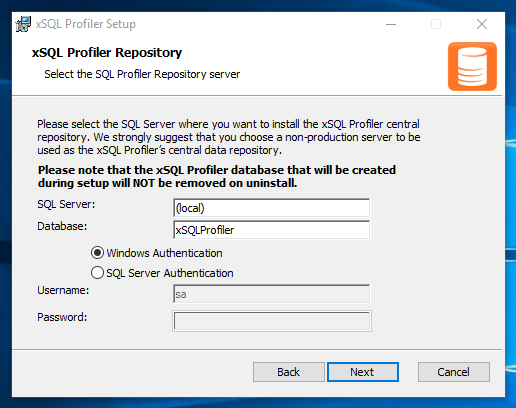 xSQL Profiler offers the ability to add filters directly to your traces, to make them register only a portion of the data, reducing the load that running traces might impose on your server. Apart from this, xSQL Profiler also enables you to further filter the data that are saved in the database when you are generating reports. 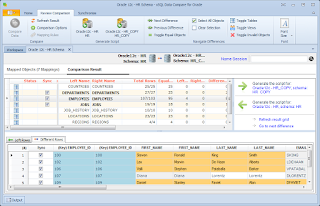 If the wide range of built in filters still does not meet your requirements, xSQL Profiler offers the ability to write your own T-SQL queries and query the underlying database to get the data you need. xSQL Profiler offers the ability to start traces with the same event definitions as SQL Server Profiler does. 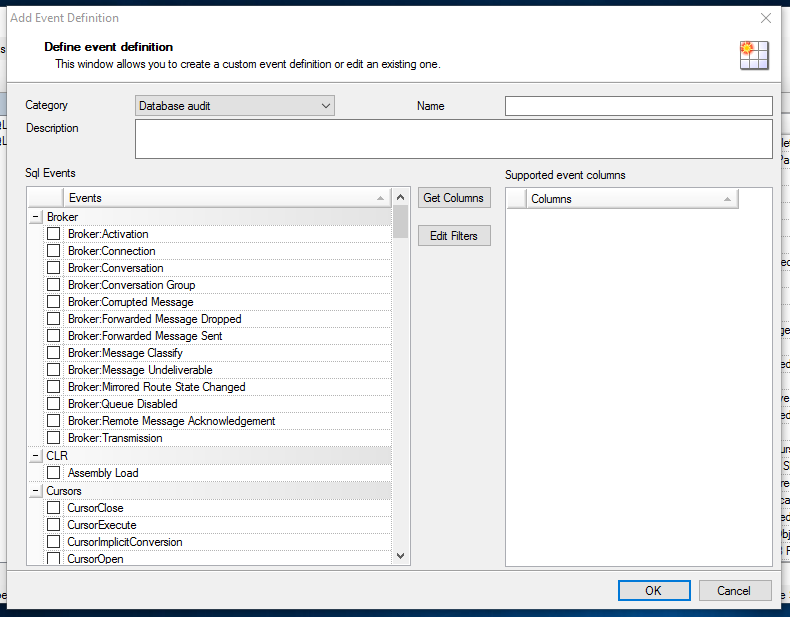 However, we noticed that these event definitions were too low-level and to audit particular aspects of SQL Server, such as user logins, query execution and so on, you have to create traces based on groups of multiple event definitions. Thus, we have created xSQL Profiler events, which are built in event definitions that allow you to audit the aforementioned aspects of SQL Server without needing to manually pick every SQL Server event. Also, if the built in event definitions don't fit your needs, you can always create your own. So, there you have it, a guide to what xSQL Profiler can do to simplify monitoring of SQL Server Express instances. We just published a new version (2.1) of xSQL Profiler with built-in support for tracing low level SQL Server events. Now, if you want to create a trace for a specific SQL Server event, you don't have to create a new event definition for that event. All low level SQL Server events are included. This is especially useful when you are using xSQL Profiler with SQL Server Express. A few minor UI improvements such as better context menu and tooltips, updated grid etc. are also included in the new version. A while back, I was building the database schema for a web application which had some reporting functionality and among other things, I had do implement logic in the database to prepare the data for the application's reports. The queries I constructed were relatively complex which meant that I needed to construct objects in the database to encapsulate these queries. So, it came down to a choice between table-valued functions and stored procedures. If you do a little research you'll notice that there is no clear cut suggestion regarding the choice between functions or stored procedures for cases when you need to retrieve a result set from the database. So, here is a comparison of the two, which, in the end will be concluded with a suggestion for those of you out there who can't make up your minds. Produce side effects such as relying on the information from a previous invocation. So, basically, only SELECT statements are allowed in table-valued functions. The only exception is on multistatement-table valued functions, which must contain an INSERT ... SELECT statement that populates the table variable which will be returned by the multi-statement table-valued function. Both, stored procedures and table-valued functions accept parameters of all data types however, there are a few differences. The first, and most important is that unlike stored procedures, table-valued functions do not accept output parameters. In fact, table-value functions return data to the client in only one way: through the RETURN statement. Stored procedures on the other hand, do accept output parameters and they have three ways to return data to the client: through output parameters, by executing a select statement in the procedure's body or by using a RETURN statement. Another, more subtle difference is on how parameters with default values are handled. While both stored procedures and table valued functions support default values for parameters, these type of parameters are optional only on stored procedures. Weird as it is, if you want the default value for a parameter when using the function, you have to write the DEFAULT keyword in place of the value for that parameter. With stored procedures you can simply omit the value and SQL Server will supply the default value. The last difference is that when you call a stored procedure, you can specify the parameter values by association, meaning that you can use a syntax like this: <parameter_name> = <value> to supply the parameter values, which greatly improves the code's readability. You can't do this with functions. This might become an issue if the function has a lot of parameters, because you would constantly need to review the documentation just to find out the order of the parameters in the definition. If you think about it, table-valued functions, especially inline-table valued functions, are a lot like another database object. Yeap, you guessed it, VIEWS. Even the SQL Server optimizer treats inline table valued functions the same as it does views. This is why one can think of table valued functions like parameterized views. Performance wise, functions and stored procedures are identical. They both make use of execution plan caching, which means that they are not recompiled every time they are executed. To prove they are identical, you can create a function and a procedure with the same SELECT statement, execute each one a few times, and then check the sys.dm_exec_query_stats DMO. You will notice that the last_elapsed_times differ very little. This is where I think, table-valued functions have the greatest advantage. Because they resemble views, they can be placed anywhere a table can be placed in a query. This means that you can filter the result set of the function, use them in join statements, etc. You cannot do the same with stored procedures. Of course, if you have enough knowledge and experience with T-SQL you could probably find some workaround, but generally, manipulating the result set returned by a stored procedure is not as straightforward as doing the same for a table-valued function. So, if for some reason, you need to apply some additional manipulation to the data returned by a function you can do that very easily. If that same data comes from a stored procedure, in most cases you may need to alter the procedure's code, which will require having the necessary permissions and what not. If you think that the result set of the stored procedure of function may need to be further manipulated, use table valued functions. One thing that I really like about table-valued functions, is that you can use the SCHEMABINDING option on them to prevent any changes on the underlying objects that can break the function. The same option is not always available on stored procedures. You can use it only on natively compiled stored procedures which are available only on SQL Server 2014 and up, and Azure SQL database. So, if you are using regular stored procedures to retrieve data, keep in mind that they can break if you change the structure of the referenced objects. To conclude, as a general rule of thumb, I tend to use table-valued functions whenever I need to retrieve a result set from the database, and stored procedures when I need to perform some work on the database.